Marina Ginestà on the roof of Hotel Colón. Photo Juan Guzmán, aka Hans Gutmann, July 1936. 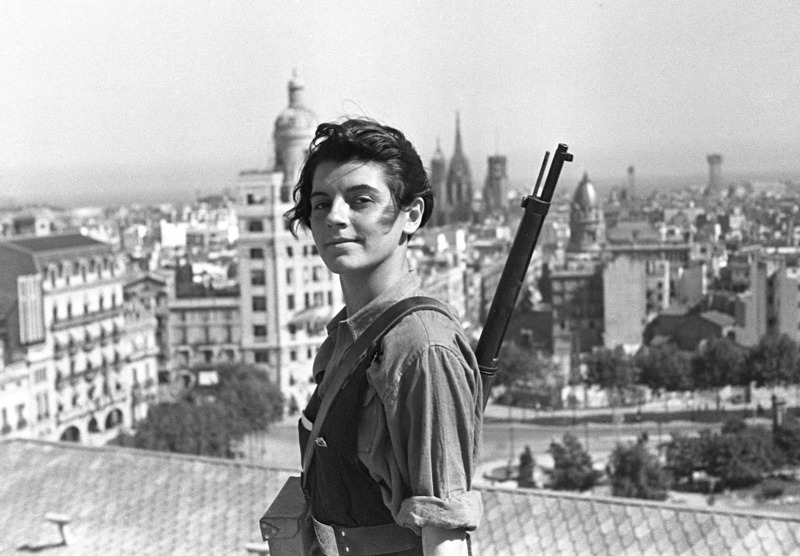 Marina Ginestà was the 17-year-old militant socialist pictured on a Barcelona rooftop in one of the most memorable images of the Spanish Civil War. She died in Paris on 6 January 2014 at the age of 94. The photo was taken on 21 July 1936, just three days after the military rebellion against the Spanish Republic had been launched. Ginestà went into exile following the Republic’s defeat in 1939, first in France, then in the Dominican Republic and Venezuela.